It’s no secret, I have tried so many things to beat depression. I have come at it from every angle, been on and off meds, prayed, fasted, experimented with food and exercise and done whatever I have thought to do. The early years of my struggle are recorded in Hope’s Journey. There are days when I feel cheated of life itself, like I will never know it feels like to be content or normal! It is frustrating. At times I just hate myself. I hate that I cry for stupid things, shout at the children I love dearly and annoy my wonderful husband with my nonsense. I don’t always feel this way or even behave this way but there are times when I do and I beat myself up over it because it’s not the person I want to be. Our current Girl’s Night series this year is a powerful one and already after the very first session I feel empowered and excited about the possibilities. What struck me most was that I had to choose contentment and not wait for the feelings to come. I know this to be true of happiness too, you can choose to be happy or sad. 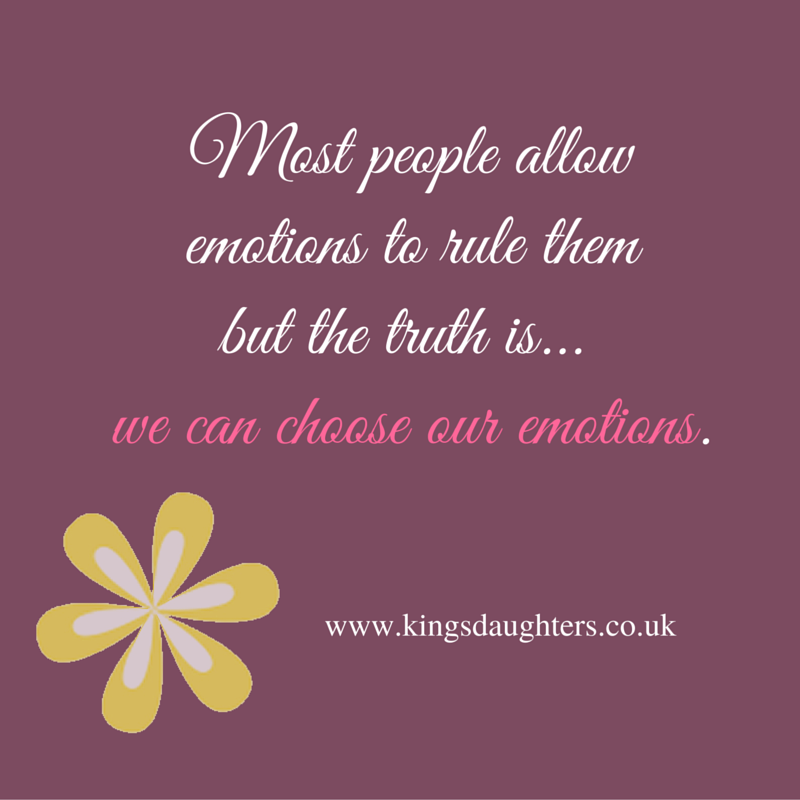 There is always the option for both emotions in most situations and we can choose how we response or react. At times I have been upset that I can’t just be happy, why do I have to work so hard at it. And now to add to my annoyance it seems I have to work at being content too! My lovely father-in-law bought me a great book this Christmas, Passion into Profit, to encourage me in my business. Right in the beginning the author, Andy Harrington, described a real life scene from his own life at a Tony Robbins convention. We will jump in at a random point of this story which won’t make much sense to you but read it and bear with me as I tie all these pieces together for you afterwards. “I swallow hard and hope Robbins knows what he’s doing. Too often we question why God doesn’t heal us but I have recently learned that God has healed me. I very specifically remember being prayed for one evening and raced home to tell Eric that I had been healed from depression. I remember it well. So if that’s true why do I still struggle, why do I still cry when I don’t want to, why do I still get in a mood and why do I still sometimes just want to die? Please share your thoughts with me in the comments box below and I will share part two of this post soon. It will blow your mind! You will be free. Nothing will have power over you every again. The enemy will be defeated because his mind games won’t work anymore on any of us. I can’t wait to tell you about it… but not yet. First you have to do your homework and think about this carefully and how it applies to you. Thank you for your views. I agree on some points but there was no mention of sin or right or wrong in my post merely a call to self control which is one of the amazing fruit of the Holy Spirit.